Goshawk, LLC, is a tribally-owned 8(a) fueling systems services company that successfully executes a wide range of projects tailored to our clients' specific needs. We deliver projects that include fueling site surveys and inspections, quality control, truck and railcar loading/unloading facilities, and hydrant fueling systems to federal and industrial clients across the country. With 175 years of combined bulk fuel storage facilities experience, we bring an extraordinary depth of knowledge and expertise to each project, allowing us to deliver proven project control and accountability as the prime contractor, comprehensive project management and superior solutions. 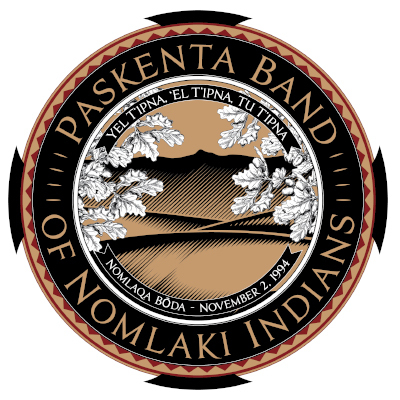 The Paskenta Band of Nomlaki Indians is a Lower 48 Tribe based in Northern California, east of the Coastal Range in what is now known as Tehama and Glenn counties. The Tribe actively supports its members and surrounding residents through diversified business holdings and contributions to community organizations from the Rolling Hills Casino Foundation. In addition to the fueling system services, construction, environmental consulting and technology companies owned through Tepa, the Tribe owns the Rolling Hills Casino, The Links at Rolling Hills golf course and an equestrian event center in Corning, California.